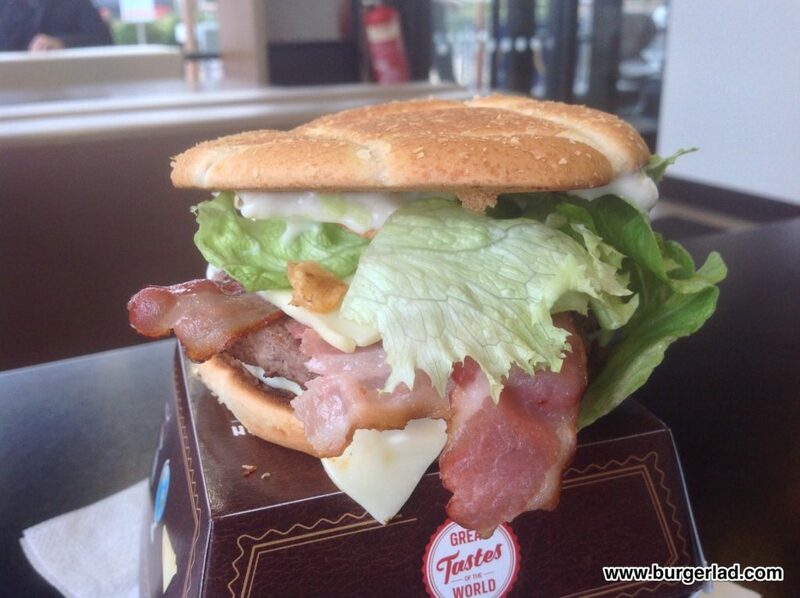 Two 100% British & Irish beef patties, Emmental Cheese sauce, Beechwood smoked bacon, cheese, crispy onions and lettuce, in a toasted lattice bun. 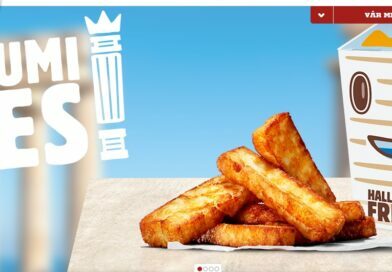 Great Tastes of the World is back at McDonald’s for 2016 and available in week three and four is The Swiss Stack with Emmental Cheese Sauce. By now, you should have read our review of The South African Stack and The Thai Special and from Wednesday 26th October until Tuesday 8th November The Swiss Stack will be on-sale. 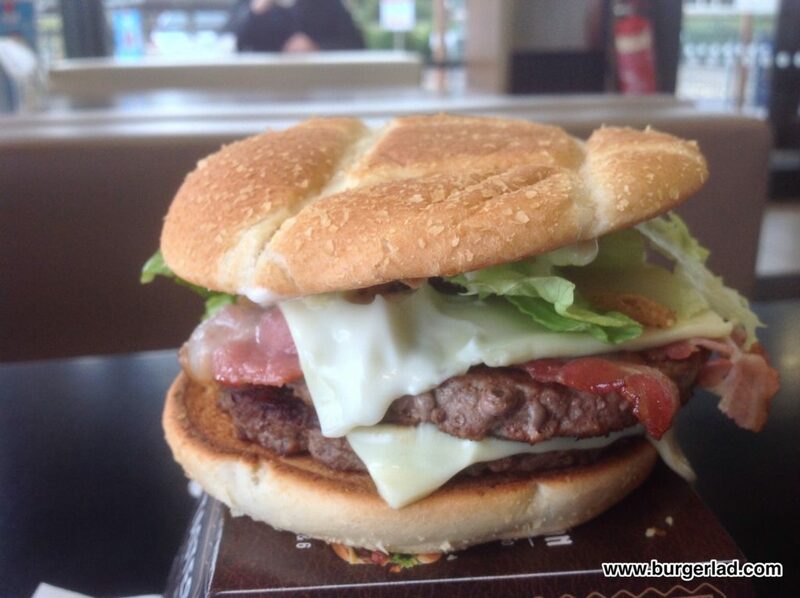 This isn’t the first burger from McDonald’s associated with Switzerland – the previously available Bacon Swiss Melt has been on the menu before, both in 2013 and 2014, and does share some striking resemblance (apart from this being a double patty stack). 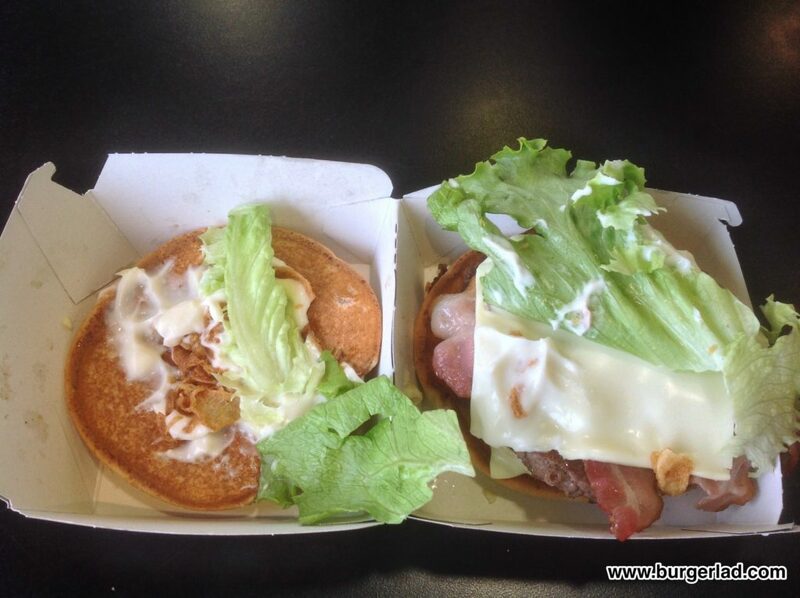 Visually, it doesn’t look the most tidiest of builds I have received from McDonald’s. 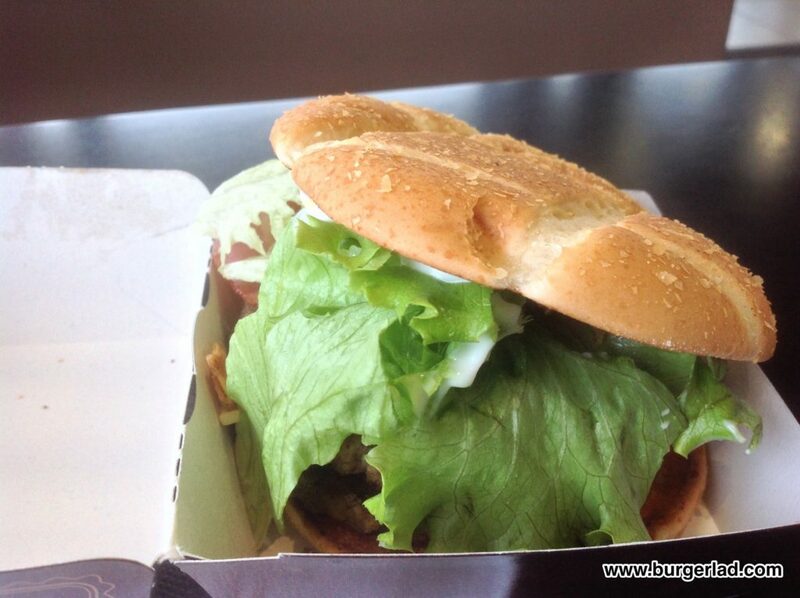 Like its predecessor before, it suffers from haphazard lettuce. It’s only when you get it out the promotional packaging that it actually looks more the part. And today this looked pretty respectable. Flavour-wise this is quite good and I found myself eating this at quite a speed, it was that enjoyable. There are no punch-you-in-the-mouth outstanding elements, instead you get an ensemble of flavours beginning with the mixture of (what I think is) two Big Tasty cheese slices and Emmental cheese sauce. And this is quite tasty! It’s not overly empowering, nor does it get drowned out by any of the ingredients on-board. It’s quite a rich taste with a pleasant creaminess about it which soon makes way on your palate for the smoky, almost burnt-tasting, but more-ish crispy onions. And it’s this cheesy/oniony combination that is the defining feature of The Swiss Stack. 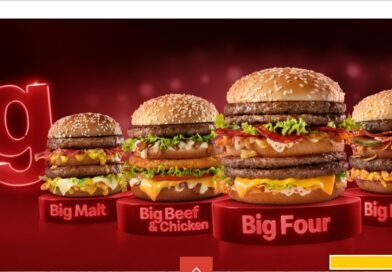 The 6:1 beef patties used on all the GTW burgers are sized in-between the regular patty used on sandwiches such as the Big Mac or the Cheeseburger and the Quarter Pounder patty. Because they are slightly larger than the standard issue, they retain more moisture and I found this helped contribute to the enjoyment levels on this build. 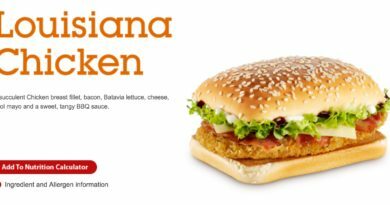 I believe the 6:1’s are used on the Grand Big Mac, so fingers crossed we might see this in the UK for the 50th anniversary of the Big Mac. 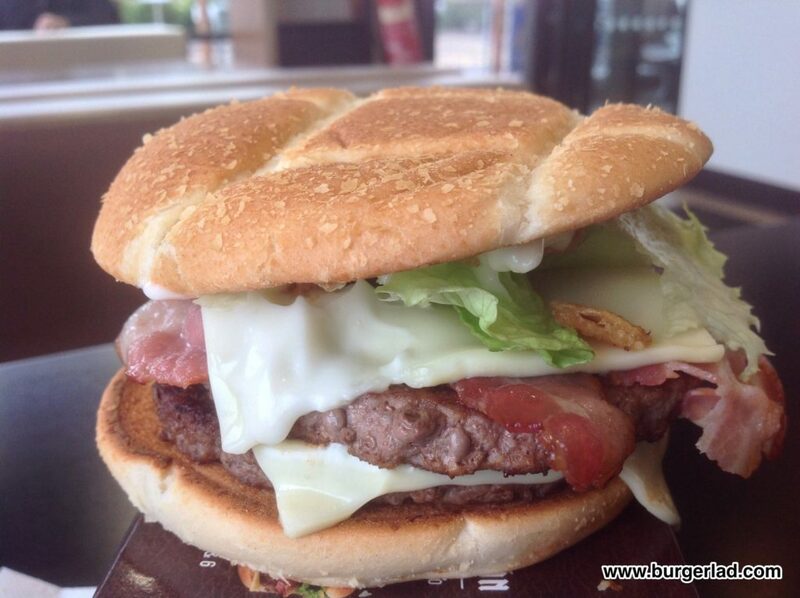 The Beechwood smoked bacon lies across the higher of the two patties in a criss-cross format. Both rashers certainly provide a semi-smoky tone throughout and neither dominate or are submissive to the cheese slices and sauce. The seasonal lettuce, which like I mentioned above, looks more untidy when still in the container, is there doing its every-ready job as the provider of freshness and crispiness to the texture of the build. 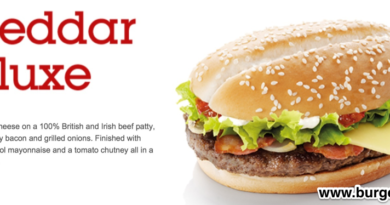 All-in-all, it makes for a fairly decent bacon double cheeseburger from McDonald’s – with the added bonus of those crispy onions and a different dimension from the Emmental. I definitely enjoyed it. 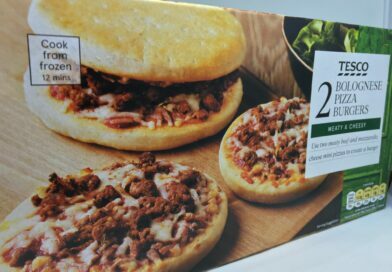 I certainly preferred it to The South African Stack. 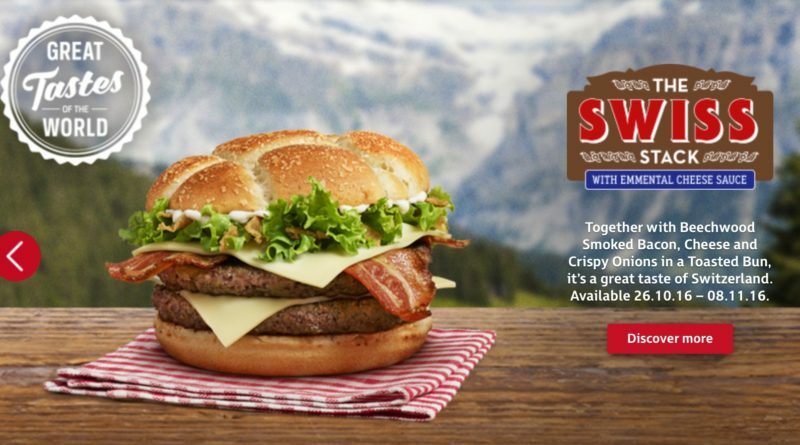 And with the mixture of the really good, creamy, rich Emmental cheese mixed with the smokiness of the crispy onions and bacon keeps the GTW momentum rolling for week three and four. 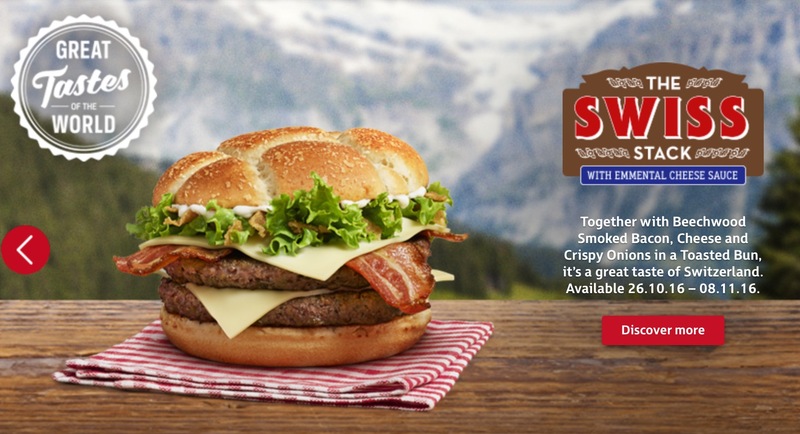 OK… The Swiss Stack and the Bacon Swiss Melt are similar. Very similar. Those blaming McDonald’s for a lack of imagination should maybe consider that primarily, McD’s want to sell as many units as possible. 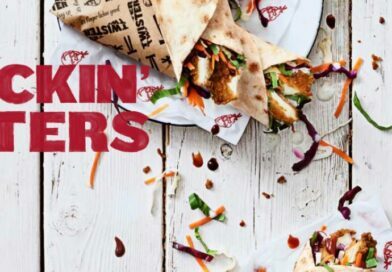 Also, that getting similar ingredients in recurring promotions could be more a reflection of the nation’s tastes as a whole, not what their development team would like to see on the menu. For me, The Swiss Stack is partially recommended. There’s nothing I personally can fault, nor is there anything that screams “TRY ME NOW”. 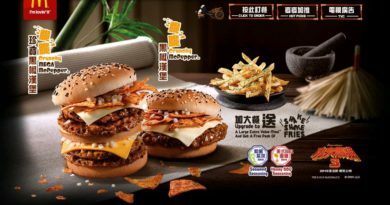 Again the combo of the cheese and crispy onions are the most notable elements that I will retain from this experience. Roll on week five and six and The Mexican Stack! 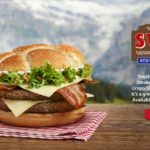 The Swiss Stack is available from Wednesday 26th October until Tuesday 8th November.